British American Tobacco has an exciting opportunity for a Country Security Manager to join our team in Nigeria, Ibadan. The current security situation, including criminality, in the country as a whole. Any specific threats to company personnel, assets and information and business operations / activities, as soon as these are known. The general security threats to company personnel (including families and visitors), assets, information and business operations/activities (including the distribution chain) and of any changes in the threat as soon as this occurs. Cost effective, timely and appropriate measures to counter threats to security. The implementation of security Policy, Common Platforms, ‘Best Practice’, and Guidance Notes received from British American Tobacco (H) Ltd and other sources. British American Tobacco Nigeria Directors/Managers/Supervisors, on the appropriate security measures, so as to ensure that standards are maintained consistent with actual or potential threat levels. Relevant Directors/Managers on the technical standards of security and the quality of professional expertise required throughout the Company, including that required for office/residential accommodation, and provide security assistance where necessary. Formulate, propose, implement and revise when necessary, the security policy for the Company. 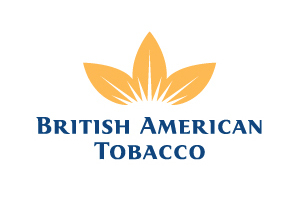 Assist with the establishment and maintenance of a suitable ‘Security Overlay' for British American Tobacco Nigeria, in accordance with British American Tobacco ‘Best Practice’. Tobacco products in respect of their manufacture, storage and distribution. Company assets, information, property and business operations activities. Ensure that a report, in standard format, is submitted monthly to the Area & Regional Security Managers. Ensure that security&fleet procedures within the company are according to British American Tobacco Policies and Best Practice. Adequately protect company personnel, assets, business operations/activities and Intellectual property/information throughout the area. Develop and maintain the professional standards and effectiveness of all subordinate security staff, by conducting such inspections and reviews as necessary for this purpose. Control the functions of other security personnel, employees and contractors and those with security responsibilities so as to provide a properly co-ordinated and cost effective service. Provide the input and advice necessary for the development, review and updating of the security element of contingency plans throughout the Company. Provide briefings for international staff/visitors on ‘in-country’ security issues. Conduct any security enquiry, investigation and survey/review in relation to any aspect of security, draw appropriate and supportable conclusions and make recommendations to prevent any recurrence. Devise and co-ordinate appropriate specialist security training in respect of security and / or other nominated personnel employed within the Area. Devise and implement induction driver training packages and refresher training packages for BATN / BATM drivers. Compile and agree budgets and manage within them. Management and oversight of the Business Continuity Management programme and requirements for Security function. Monitoring the business activities and risk exposure to properly review and update the functions risk register on a quarterly basis. Maintain and oversight on the review of the functions BCP document using the BCM manual as a guide and creating awareness of the BCM activities within the function. The Country Security Manager, Nigeria will preferably be a graduate or expert in security management; with not less than 2 years in a similar managerial role. Be a mature individual, with a broad experience in corporate security management. Possess good communication skills in English, which he is able to exercise at all levels. Be capable of exploiting all sources of information to obtain and collate detail on all threats or potential threats to the Company. Be capable of issuing clear written and verbal orders. 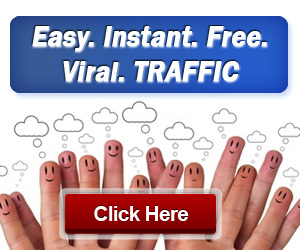 Have the ability to produce timely, accurate, detailed and concise written and verbal reports/reviews. Have a detailed technical and operational knowledge of all aspects of physical and electronic security, specifically, locks, building security, control of access procedures, perimeter protection, the use of Close Circuit Television (CCTV) and Intruder Detection Systems (IDS). Have a detailed knowledge of the operations of manufacturing facility. Keep abreast of current trends and techniques in the security field and disseminate the product of such knowledge to relevant personnel within the company. Be capable of commanding a contracted and/or ‘in-house’ guard force. Be capable of carrying out and managing effective investigations involving breaches of security and security incidents. Able to prepare, conducting and record interviews. Have the ability to provide security input to contingency plans.